New. 100% Money Back Guarantee. Brand New, Perfect Condition. We offer expedited shipping to all US locations. Over 3, 000, 000 happy customers. Trade paperback (US). Glued binding. 208 p. Contains: Unspecified, Halftones, color. Fine. 100% Money Back Guarantee. Brand New, Perfect Condition. We offer expedited shipping to all US locations. Over 3, 000, 000 happy customers. Trade paperback (US). Glued binding. 208 p. Contains: Unspecified, Halftones, color. New. 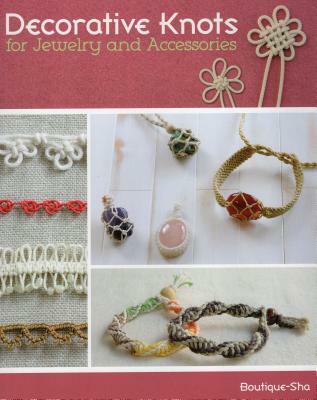 Knots can be used for bracelets, necklaces, anklets, pendant settings, and other jewelry, as well as bag handles, keychains, trims, button closures, and other practical uses. Num Pages: 224 pages, 500 colour. BIC Classification: WFC; WFJ. Category: (G) General (US: Trade). Dimension: 211 x 259 x 13. Weight in Grams: 758. 2014. Paperback.....We ship daily from our Bookshop.